These reports are sent via Northamptonshire Neighbourhood Watch. Images of two lambs believed to have been killed by a dog have been released in a bid to remind dog walkers of the need to keep their pets on the lead and under control around livestock. The images are available to view on the Northamptonshire Police website here. Northamptonshire Police received a report of the deaths of two lambs on the Cottesbrooke estate on Thursday, March 21. Officers from the force’s Rural Crime Team are reminding owners they have a responsibility to keep their pets under control, and that dogs chasing livestock can legally be shot dead by farmers. PC Abbey Anstead said: “Every year we remind dog owners and walkers of the repercussions of livestock worrying, and sadly every year we still see animals who are killed as a result of it. “Although the images are naturally upsetting, we’ve taken the decision to release them to bring it home that this is a problem happening here and now in Northamptonshire. “Finding dead lambs, or any animal killed this way, is just awful for farmers, and especially when one simple thing – a lead – could have prevented their deaths. She added that incidents of livestock worrying should be reported to police on the non-emergency 101 number. If a dog is in the process of worrying livestock and cannot be stopped, dial 999. Anyone who shoots a dog to prevent livestock worrying must notify police within 48 hours. Last year Northamptonshire Police received at least 30 reports of livestock worrying, including instances of sheep found dead or injured. “At present we believe that the series of offences [primarily car crime] that occurred within Pattishall and surrounding villages are part of a much bigger series being perpetrated on this side of the County. 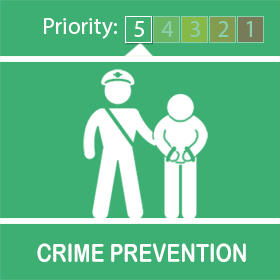 A male and female have been arrested following similar offences near Brixworth. They are not the same male and female as seen in our recent CCTV footage, however the vehicle that they were with and some property recovered is linked to offences from Brackley area. As such we believe these individuals to be part of a larger group currently offending. There is a lot of outstanding work to be done in relation to CCTV, vehicle, property and potentially mobile phone enquiries. This will take some time and is being looked at by our Force Investigation Team. CCTV will only be evidential if it shows a person committing an offence. CCTV that just shows a person only can be used to corroborate that they were present in a location but does not prove that they committed the offence. CCTV must be produced to Police by the person owning it so that it can be exhibited properly and provides continuity of that evidence for CPS and ultimately court. Any stills or CCTV forwarded by a third party may be used as intelligence – ie to allow us to quickly circulate to officers to try and identify an offender but we will still need the original footage. We will consider using stills in any media appeals but in the interests of data integrity we must ensure their provenance. We quite often find that people upload stills to social media and then the wider public expect the Police to immediately identify and arrest an offender when the footage has never been sent directly to the Police. In conclusion we are making progress. This will be part of a much bigger picture and we thank you for your efforts to try and co-ordinate everyone into sorting their CCTV. If people are struggling to create stills or a copy of the footage then get them to contact us direct and we will try and arrange an officer to come and assist. At the very least we can take our own still or moving image from the footage and exhibit it ourselves. That way we can provide an explanation of the retrieval process and complete the continuity. The last thing we want is a case thrown out at court due to an incomplete evidence trail.